If you’re tossing and turning tonight in your bed, there could be a few reasons. Maybe your mattress is old and worn out, in which case you need a replacement mattress. Or maybe it’s the full moon. Believe it or not, the full moon actually has an effect on human sleep, and not for the reasons you may think. 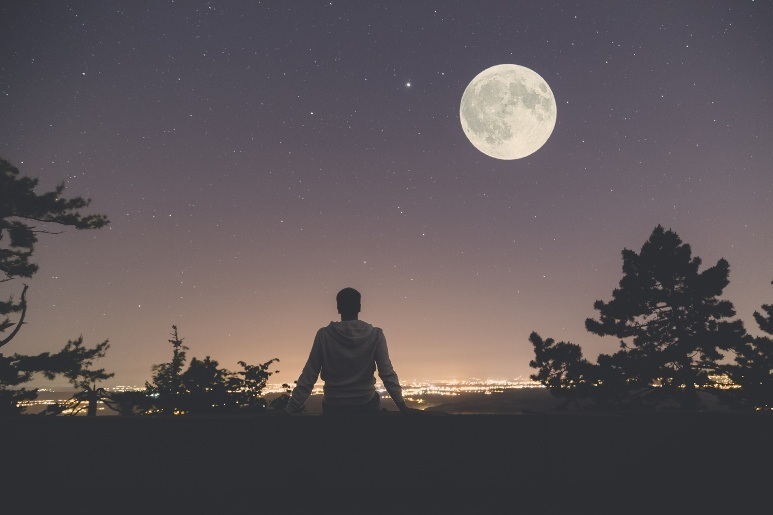 While you aren’t likely to turn into a werewolf, studies performed by researchers have shown that it actually takes longer to fall asleep during a night with a full moon. In addition, the sleep is not as fulfilling, and overall duration is reduced by about 20 minutes. The reasoning behind this isn’t completely clear. Some believe it to be linked to evolutionary theory; for instance, hunters on the savannah might have been out stalking prey during a full moon. The need to be awake and alert would have developed over hundreds of generations, and may be a vestigial trait that still remains today. Other theorists believe it to be due to the body’s natural circadian rhythms and the adverse effect the moon’s light may have on it. Still others believe it to be due to increased magnetism from the moon, and the fact that the human body is 70% water. A potential way to counteract these effects is to wear a sleep mask. Don’t let the light reach you, and your body might not be affected as harshly. Another way is to ensure your mattress is high quality and promotes the best sleep possible; this applies to anyone, whether you have a comfy sofa bed at home or you’re sleeping in an RV. Despite the full moon’s effects on sleep, there are steps you can take to improve the quality of your rest. Invest in blackout curtains that keep your room pitch black. This will prevent the light from the moon from reaching inside your home and waking you up. On the night of a full moon, give yourself more time to sleep; as your body will take longer to enter deep-sleep cycles, the extra time will be necessary to ensure you get the proper amount of rest. As for the effect of the proposed “circalunar clock” inside the human body, there is not much you can do to combat its effect on sleep, except to try to get as much rest as possible under the circumstances. According to researcher Michael Hastings, the effect of the moon on sleep may be an “echo of our evolutionary past.” This doesn’t mean you have to be subjected to poor sleep, however; take the time to ensure you’ve got a comfortable mattress and the proper sleeping gear, and you’ll be able to count sheep just fine, whether you’re in an RV, a boat or at home.